I, Scarlet Townsend, didn’t believe I could be any happier. Life with Carver Wilson has been wonderful. On the night of my dinner to finally unite my two very separate lives, as mother to Ashton and Elise Lathrop and Carver’s girlfriend, my past comes to literally kick my door in. Denver Lathrop has known me all of my life. With that knowledge comes a truth. It’s a truth that I have to face if I am going to ever have a future with anyone, especially ex-special forces, Carver Wilson. There is a part of me no one else, but Denver knows. His belief is why shouldn’t he get the girl since he knows my life story inside and out. 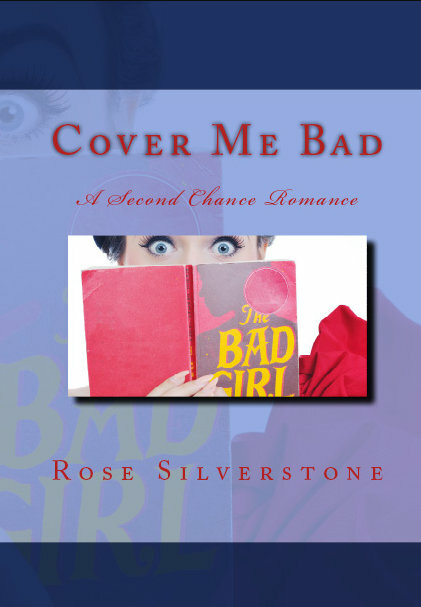 As of midnight November 18th, Rose Silverstone is a PUBLISHED author. Catch your breath as Clarissa learns to control hers. It’s the first thing she should learn to control then maybe she’ll get a handle on everything else in her life. Life is funny. It sure has a funny way of showing an individual what type of person they truly are. Hmm, life shows a person all of the signs of their weaknesses and sometimes throws them up in their face while beating them down. In my case, it wasn’t so much … life. It was the guy in my world. It was the man that I’d chosen to give my body and heart to. At one time, I believed he was absolutely perfect and practically walked on water. I won’t dwell on that now. I’ll come back to it later. I want to share how I got to the point of fighting for every breath before learning how to breathe. I’m Clarissa Pierson. I’m twenty-four years old, the “good” twin and this is my story. Nathaniel’s features are a canvas of emotion. The prominent one is hope and I want to keep it steadily in place. The problem is I can’t do that. The hope morphs to disappointment and I turn away. Averting my gaze means I’m not focusing on the pain I’m causing him. I don’t need to see it to know it is there. I’ve recognized the looks. I’ve seen the desire. I know it well because it is reflected back at me in my mirror when I think of him. I’m not in a space where he’s even a possibility for me. His lips are crashing into mine before I’m able to formulate a response. I’m in his arms and being carried to the couch bed as he reacquaints himself with the feel of my lips. Our tongues dance and I can think of no reason to pull away from this man. We don’t pull apart as we strip each other. I’m beyond thrilled to know that neither of us is wearing something that needs to go over either of our heads.